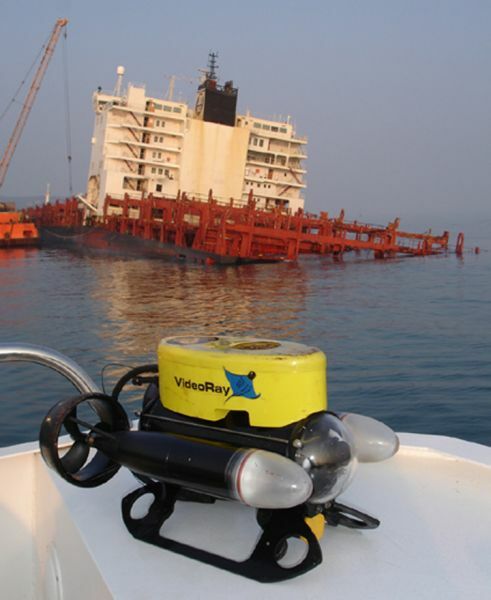 The VideoRay ROV has quickly become the tool of choice for both pre-salvage and salvage surveys and small recoveries around the world. The ROV can be rapidly mobilized to assess damages in the aftermath of disasters to give salvage companies an edge in documentation, decommissioning assessments, estimating accurately to bid and win the job, and environmental impact assessments. 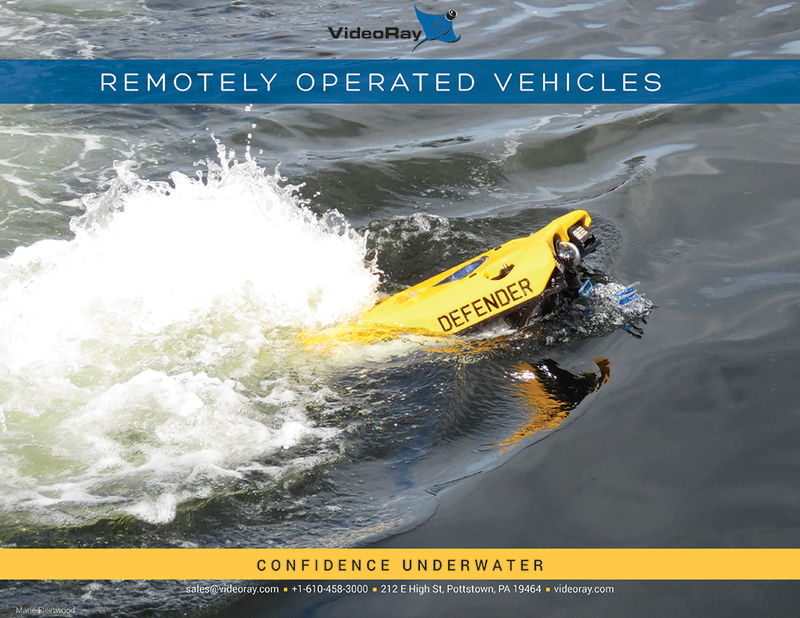 Lately VideoRay ROVs have been saving the day with recovering lost, important, and expensive equipment that has gone overboard or failed to surface on its own as designed. Sonar arrays, hydrophones, sleds, small airplanes (yes, small airplanes), and other items of value. 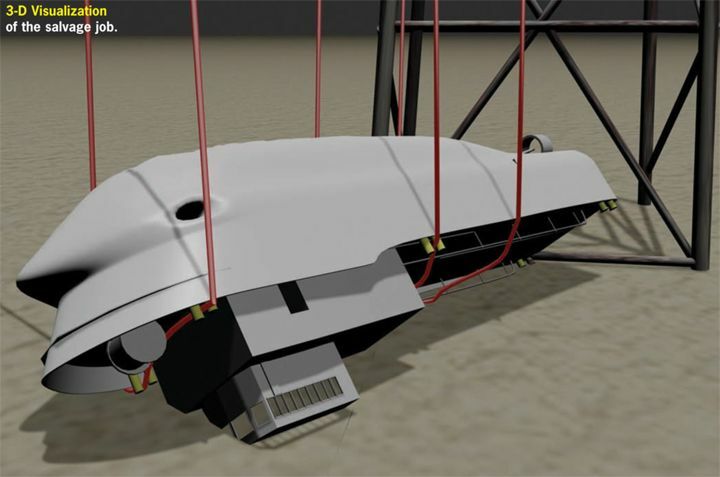 Usually a recovery line is sent down on the ROV with a quick release apparatus that can be run through a load bearing part of the item, secured, and released. Sometimes the kevlar reinforced tether is enough to manually lift the item after getting a good grip with the manipulator arm. 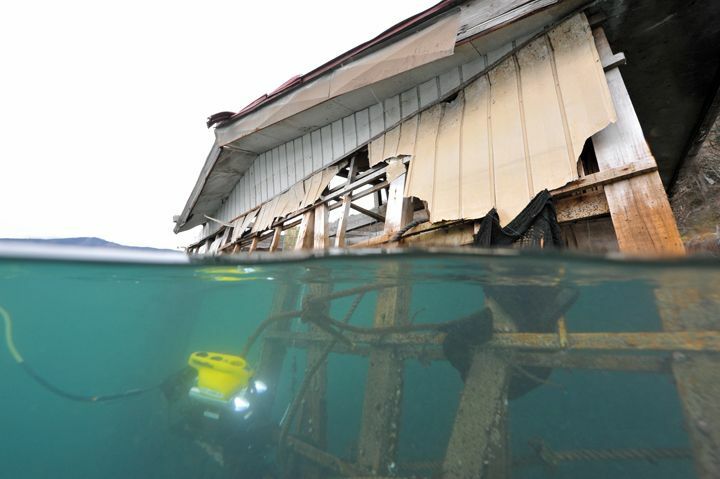 Japanese company Shibuya Diving employs a VideoRay Pro 4 for survey work in the aftermath of the 2011 tsunami that devastated the area. They are still assessing the damage to this day. Photo Courtesy Mr. Masanobu Shibuya. 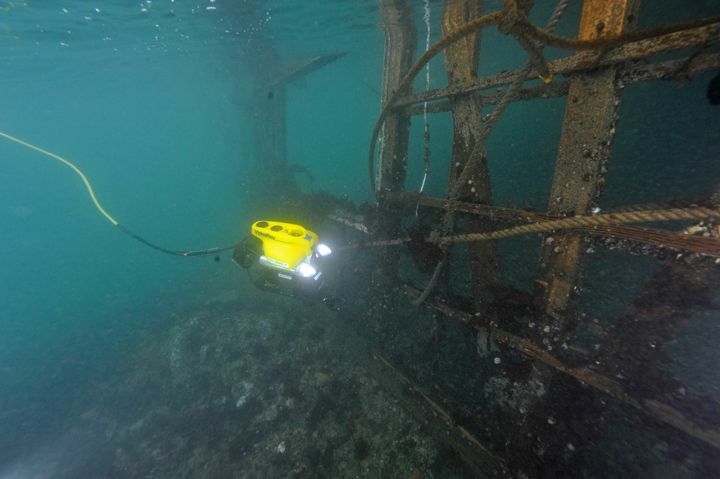 Japanese company Shibuya Diving employs a VideoRay Pro 4 for survey work in the aftermath of the 2011 tsunami that devastated the country. They are still assessing the damage to this day. Photo Courtesy Mr. Masanobu Shibuya. VideoRay Pro 3 ROV ready to perform initial survey assessment on the MSC Napoli wreckage - the system was used by Titan Salvage and UMC International with Steve Van Meter of Van Meter Consulting as the VideoRay pilot. 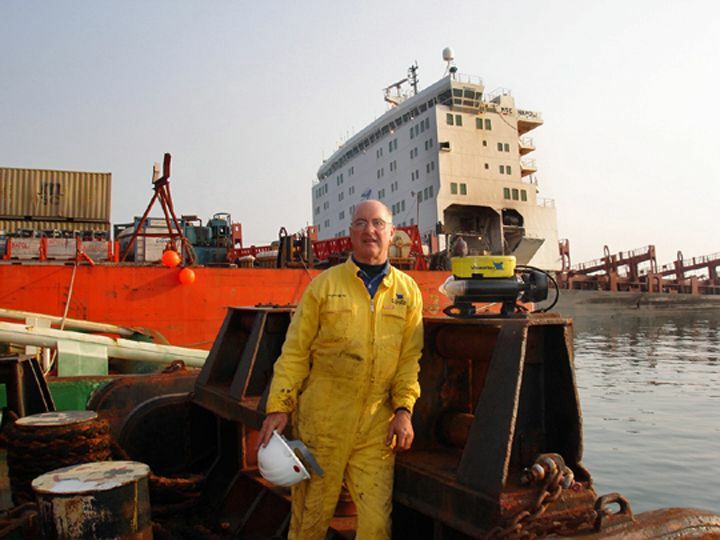 Steve Van Meter of Van Meter Consulting after a day of underwater pre-salvage assessments on the MSC Napoli. 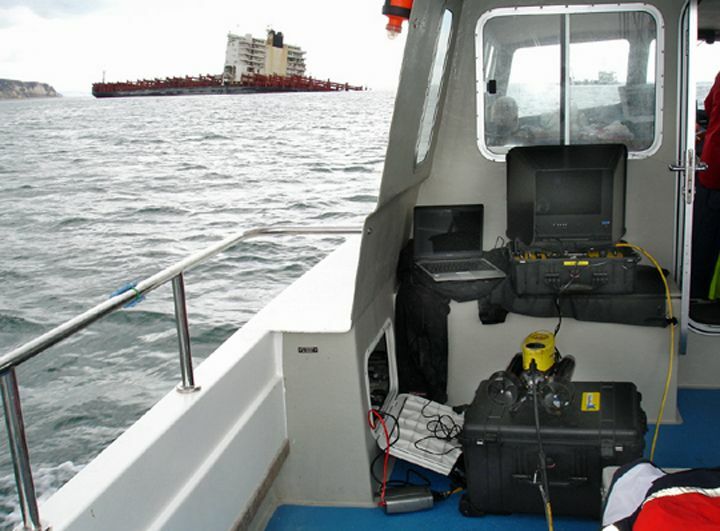 Van Meters VideoRay ROV "office" while surveying a field of containers that came off the vessel away from the main wreck. 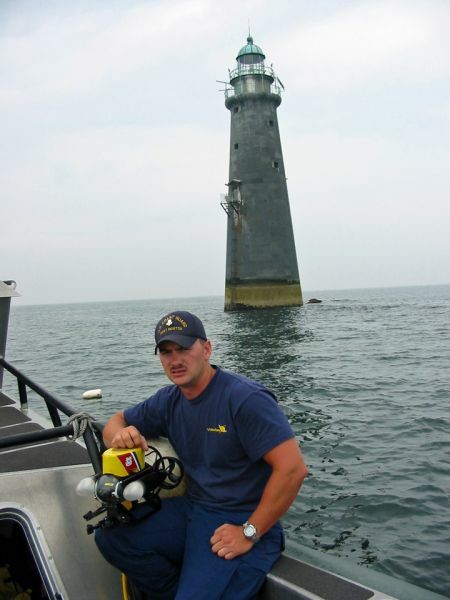 The Unites States Coast Guard surveyed the area of the Minot's Ledge Lighthouse (built in 1850) in Massachusetts to look for evidence of the original light that collapsed in a storm in 1851. They located the original steel beams with the VideoRay and lowered a memorial plaque for the 2 keepers that perished. 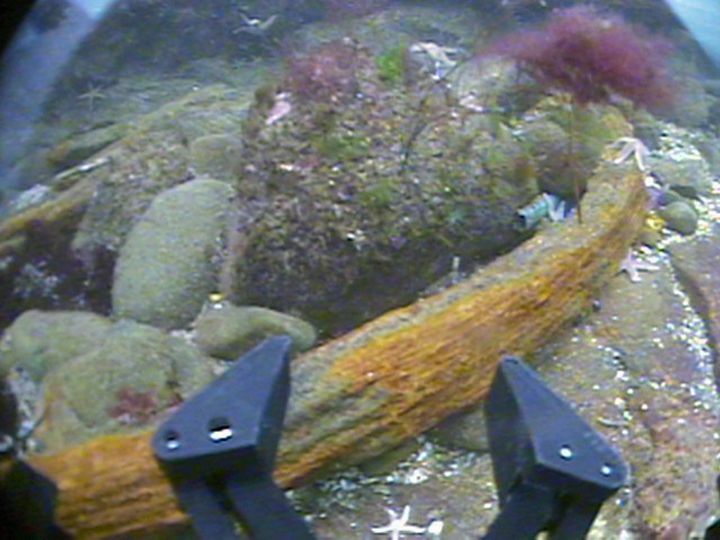 Still image from the VideoRay ROV of the original steel support structures of the 1850 Minot's Ledge Light. Steve Van Meter of Van Meter Consulting with a towed sled that was lost from the University Of North Carolina Wilmington. 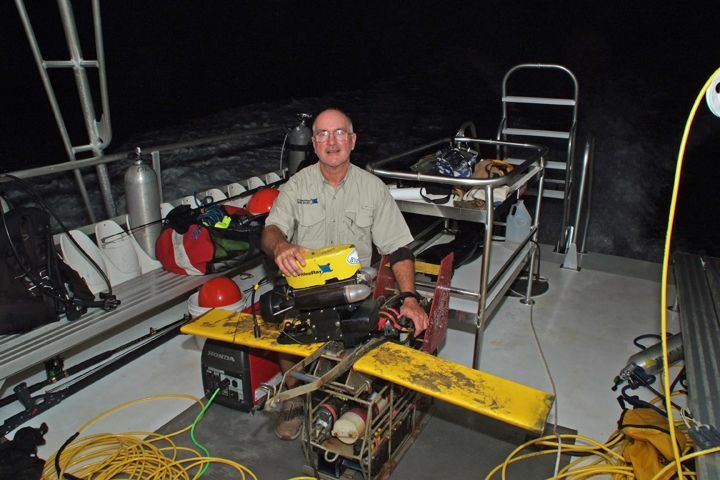 He recovered the sled with the VideoRay ROV alone by first locating it, then grabbing onto it with the manipulator and recovering with the kevlar reinforced tether. 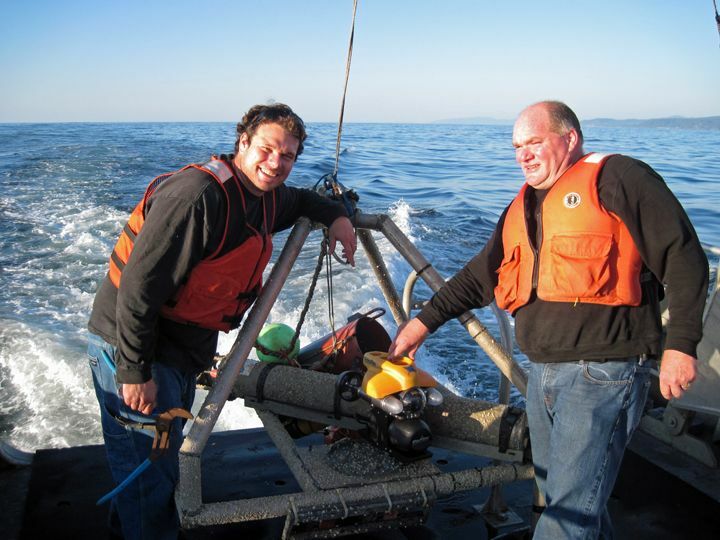 Joe Haxel (left) and Oregon State University's lost hydrophone recovered with all its data with a VideoRay Pro 4 ROV by Dennis Lancaster of Water Work Resources (right) and Craig Thorngren of Submerged Recovery & Inspection Services (not pictured). 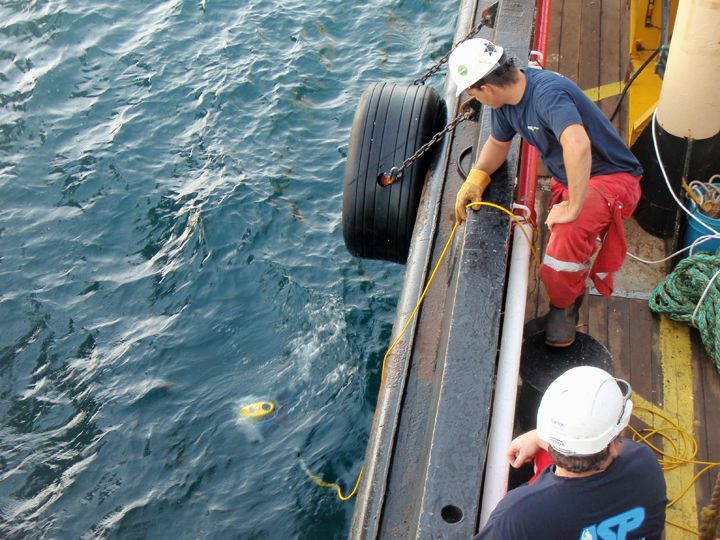 A recovery line was attached by the ROV. 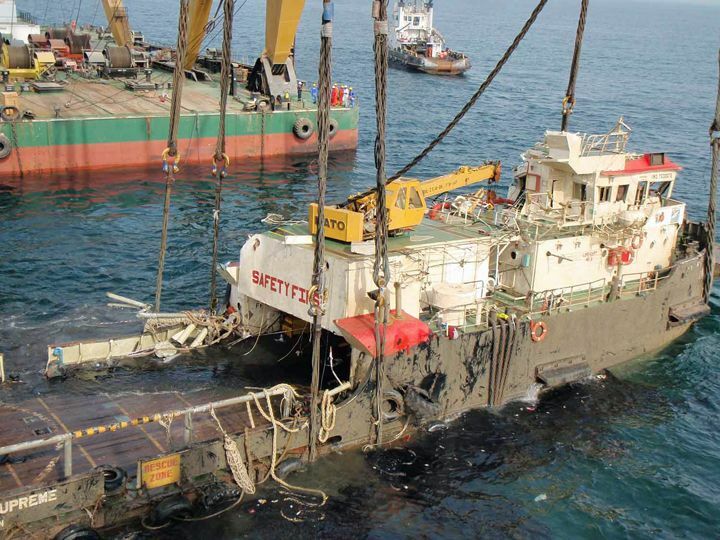 A VideoRay Deep Blue is deployed in the Persian Gulf to survey a massive workboat that had perished and was lying on an underwater gas line. Tom Wadsworth of Hydrabotix UK piloted the ROV and from the gathered footage made a 3D model for the salvage efforts. The workboat successfully raised to the surface thanks to the plan formulated from the 3D image and VideoRay ROV footage.